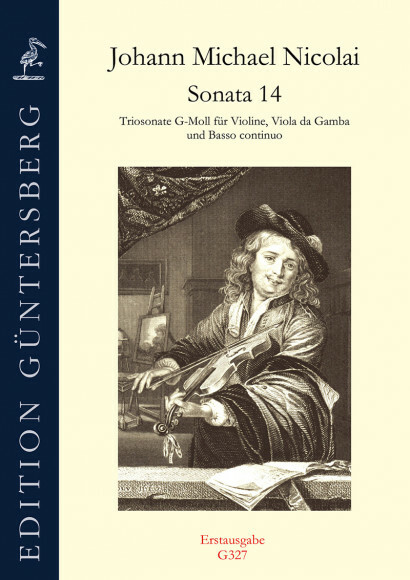 for violin, viola da gamba & b. c., edited as first edition by Leonore and Günter von Zadow. The manuscript is held in the Durham Cathedral Library, where Nicolai’s well-known sonatas for two and three gambas are also found. The sonata in G minor has catchy and contrapuntally handled subjects and consists of several conjoined sections, which also contain a solo for each of the melody instruments.